16 Daffodil Or A Diamond? 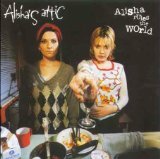 Alisha's Attic were an English duo of the 1990s and early 2000s. The two members were Shelly McErlaine (née Poole) and Karen Poole, sisters born in East London (Barking and Chadwell Heath, respectively), England. Their father is Brian Poole of Brian Poole and the Tremeloes, a 1960s musical group. The "Alisha" referred to in the group's name is a fictional character created by Shelly and Karen, based on an imaginary childhood friend whom Shelly communicated with as a child. 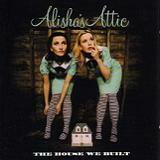 “Attic” comes from the attic studio belonging to a composer friend, Terry Martin, where they originally recorded demos. Discounting the sisters' teenage material (recorded as "Keren & Chelle"), Karen and Shelly's recording career began with the single "I Am, I Feel", a hit in the UK, and this was quickly followed by their debut album "Alisha Rules the World" in November 1996. They were nominated for a 1997 Brit Award for Best Newcomer, losing out to Kula Shaker.